We all know that working out is healthy for us. It goes hand in hand with eating a nutritious diet. We all want that kickin’ body–or at least one that’s full of energy and allows us to keep up with the demands of life (and have a little fun on the side). Are we right? But it’s not as easy as just “going to the gym” that helps us be fit. In fact, you can exercise every day and not lose one. Single. Pound. (Has that ever happened to you?) It’s frustrating, isn’t it? All that time! All that energy! For nothing! We get it. You’re gung-ho about getting into shape. But that doesn’t mean that you live your whole life obsessing over fitness and living at the gym. Sooner or later, you’ll run yourself completely ragged. Fitness is about balancing your life well–physically, mentally, and socially. Our kubes have been optimized to get you a full, effective workout in just 30 minutes, so you don’t have to worry about overdoing it. Adversely from overdoing it, you may be someone who is consistent at exercising, but lacks the motivation or intensity needed to burn enough fat. 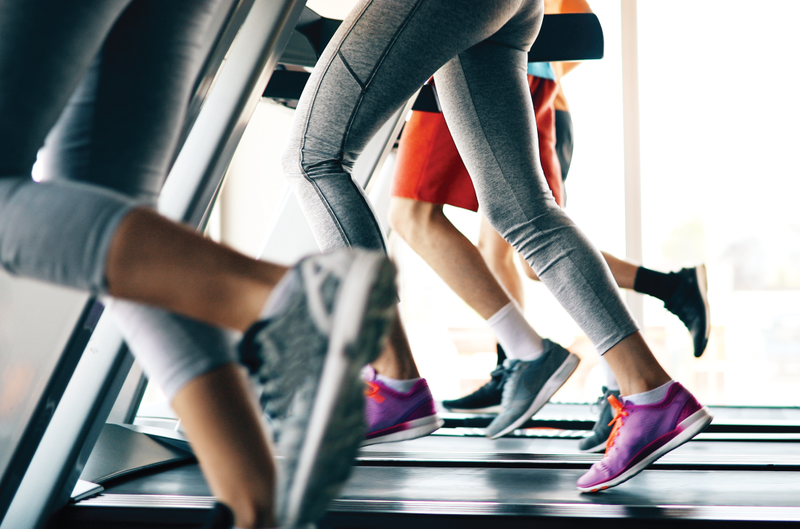 When you workout, do you find yourself leaning on the cardio machines for support? Are you able to read your book you’ve been dying to finish? If so, you may just be going through the motions of working out. Dont assume that just because you’re moving that you’re burning fat and calories. If your heart rate isn’t raising and lowering, you’re just wasting your time. Fortunately, our kubes offer fun, engaging, and challenging exercises so you’ll always be getting that heart rate up and thus, getting a great workout. Maybe you’re a runner, or a cyclist, or some other cardio guru. That’s great! But incorporating weights into your workouts plays a key role in your fitness. Cardio helps to burn fat, but weight training help in metabolism burning. It is wise to incorporate both forms to your fitness regime to get maximum results. Be careful not to go too light when introducing weights to your workouts. Instead, go with a weight that is comfortable for you, but still challenges you. We all have that body part that we really want to change. Maybe it’s your stomach, your arms, or your legs. It’s great to work on improving those areas, but sometimes people make the mistake of over-focusing on one particular area of the body, leaving other muscles unattended and likely to go into atrophy. Be sure to work all the muscles, giving them a day of rest in between workouts so they can repair and rebuild. On the other hand, there are many people who don’t concentrate enough when exercising. These people get easily distracted with their phones, the televisions, messages, mirrors of themselves, people-watching, and even socializing at the gym. Although it’s encouraged to have a workout buddy (for accountability and support), be sure that you both stay focused on your fitness goals and eliminate other unnecessary distractions. Our kubes help you do just that–their privacy helps minimize distractions so you can focus on getting in a great workout. If you’re not keeping records of your progress towards your fitness goals, you really can’t measure and see how far you’ve come. Becoming fit isn’t all about just a number on the scale. You should be measuring different parts of your body, recording the time it takes to complete an exercise, tracking your reps and sets, etc. There may be times when you feel like you haven’t progressed, but sometimes changes are much more gradual and take longer to show results. Don’t expect to see immediate results. Real change happens over time. At KUBEX, we help make it easy to track your fitness goals and results with our 3D Body Scan. Come in today with a Free Day Pass to get started! We’re sure you’ve heard it before, but diet is a HUGE part of getting fit. Don’t go to the gym and put in your best workout, just to undo it all by eating a bunch of junk at home. Fuel your body with lots of fresh vegetables and fruits, and lean proteins and whole grains. You’ll not only notice a distance in how you look, but in how you feel. Because we know that exercise isn’t the only part of fitness, KUBEX offers nutrition and planning help. Are you having to drag yourself to workout? Are you looking for any excuse NOT to go to your facility? Chances are you’re not having fun. We suggest changing it up and adding more variety to your workouts. Too often people do the same routine day in and day out (which isn’t good for their muscles, but it’s also not good for their fulfillment). Performing the same workout over and over again doesn’t give the body a reason to change. Be spontaneous and try a class you’ve never done before, or use a new machine you haven’t tried before. And if it’s hard–that’s ok! A challenge only means there’s room for improvement. Get comfortable with being uncomfortable! Our Kubes are revolutionary and adjust to your level, so they get harder the more you come, making it so you maximize your workout every time. Exercising with an incorrect form not only hinders results, but it can also lead to injuries. Focus not just on the workout itself, but on the proper method. If you don’t know how to use a particular machine or piece of equipment, ask an employee (or better yet, hire a certified fitness trainer.) This is why our kubes come equipped with easy to follow digital animations so you’re never left wondering how to properly use the equipment. Nothing feels quite as good as knowing you did your best and put in a great workout. It’s great for your body and your muscles. Remember, however, that it’s important to fuel your body and replenish and rebuild those muscles afterwards. You can do this by drinking a protein shake within one hour of your workout. If you want optimal results, and fewer injuries, you’re best off warming up before a workout, and remembering to cool down and stretch afterwards. Doing this allows your muscles to relax post exercising, and helps them rebuild and restore quicker. In addition, these warm up and cool down exercises should be proportional to the intensity of your workouts. Avoid these common mistakes and you’ll be well on your way to meeting your fitness goals! Let us help you get there. Visit one of our locations today!